This is the Speaker Engagement Request Package that includes a complete short introductory and long biography for Minister Showers. Click here for a high resolution photograph. Download the complete Speaker Request Engagement Package when you click on the picture. Complete it and email to showersblessings@gmail.com or complete the form to the right. 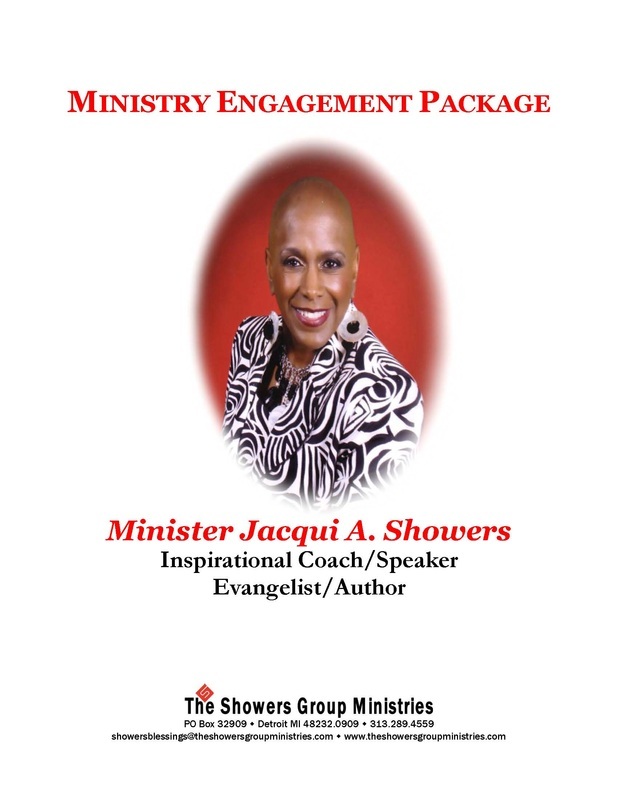 Above is the Speaker Engagement Request Package that includes complete introductory and long biography for Minister Showers. Click here for a high resolution photograph of her. If you don't have ADOBE Reader download it now. Please complete and submit this Engagement Request Query. Someone will be in touch with you to confirm the speaking engagement.